بني في 2009, Hanmer Apartments هو ميزة مُضافة لـ هانمر سبرينجس و خيار ذكي للمسافرين. يقع مركز المدينة على بعد 1.5 km فقط. ويمكن الوصول إلى المطار خلال دقيقة. سوف يعشق النزلاء موقع هذا الفندق، فهو قريب من أهم المعالم السياحية في المدينة كمثل ‪Conical Hill‬, ‪Hanmer Springs Animal Park‬, هامر سبرنج . استمتع بالخدمات الراقية والضيافة التي لا مثيل لها بهذا الفندق في هانمر سبرينجس. تتضمن الميزات الرئيسية في هذا الفندق: واي فاي مجاني في جميع الغرف, مجهز لذوي الإحتياجات الخاصة, مرافق مخصصة لذوي الاحتياجات الخاصة, تسجيل وصول/خروج سريع, تخزين الأمتعة. بالإضافة لهذا,تتضمن كل غرف الضيوف مجموعة واسعة من وسائل الراحة . بعض الغرف توفر حتى مناشف, تلفزيون بشاشة مسطحة, اتصال لاسلكي بالإنترنت, اتصال لاسلكي بشبكة الإنترنت (مجاني), غرف لغير المدخنين لإرضاء أكثر الضيوف تطلباً. يقدم الفندق خدمات رائعة كمثل مسار جولف - ضمن 3 كم, تدليك, ملعب للأطفال, حديقة لمساعدتك على الاسترخاء بعد نهار طويل من النشاط والتجوال في المدينة. اكتشف مزيجاً ساحراً من الخدمة الاحترافية والخيارات الواسعة من وسائل الراحة والمتعة في Hanmer Apartments. Apartment was well maintained, had clean crisp sheets and had swings and a trampoiline in the back yard. Accommodation consisted of one loft (open) bedroom, and a single downstairs bedroom with two singles that were joined as a double bed. Good for small families. Location was a little bit away from the Hot Springs (5 mins drive) but easily done. Price was more expensive on Agoda, but they had the inventory for the dates I wanted (and Hotels.com and others didn't). 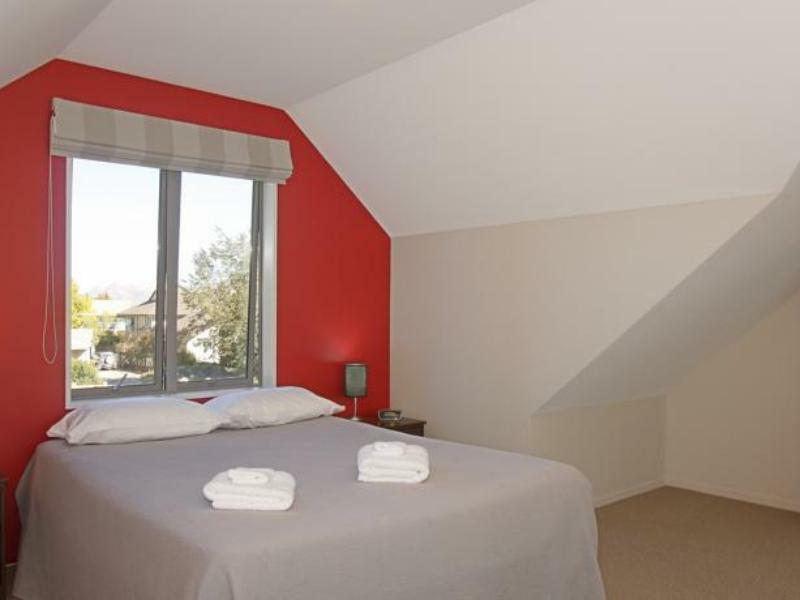 The 2 bedrooms unit is very spacious, clean and comfortable. The backyard is lovely. We had a great stay for 1 night. Would come back and recommend to friends. The showers, view from back yard and the friendliness of staff. We had a fabulous stay at the apartment. It was very clean and comfortable. The shower was unbelievable and my kids just raved about it. The staff were so helpful with advice about local walks and restaurants. The view is spectacular from the back yard and we will definitely try and return to this place again. Hanmer Springs is worth more than a night's stay but unfortunately we were on a tight schedule so will have to return. clean, homely, warm and spacious with great outlook. Was much better than staying in a motel unit. Will be staying here again. 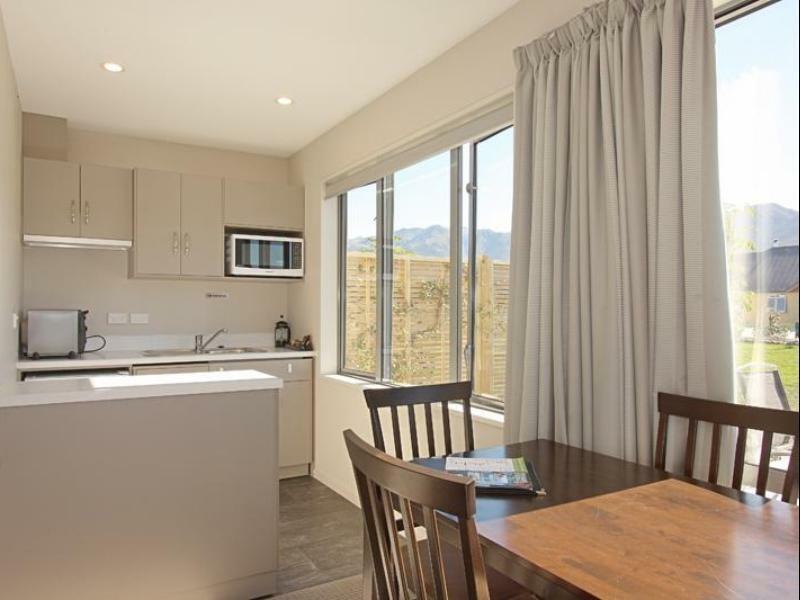 Enjoyed our stay in Hanmer Springs, beautiful location and lovely apartments. Would stay there again and recommend to friends. Stayed for 1 night in June. Was easy to find and only 2 minutes by car from the town centre. Check in was quick and easy. Room was a two bedroom apartment, with a upstairs and downstairs bedrooms. Apartment was modern and clean and had its own kitchen area. Beds were Ok if not a little hard, for my liking. Free wifi was fast and easy to setup and use. Had a great time staying here and would definitely recommend to others. the room is very claen,and the towel is good, get small park in room. I will go this hotel again. Saty there can relax and take a walk.